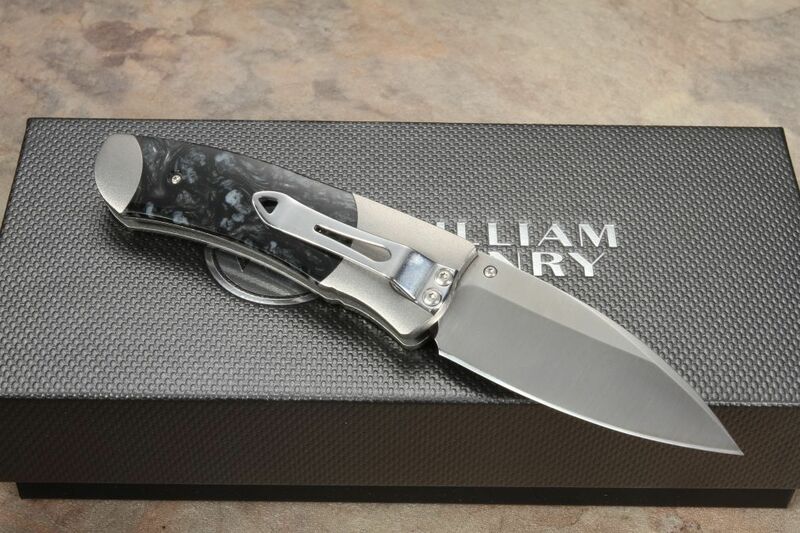 William Henry is synonymous with upper scale luxury knives and other items. 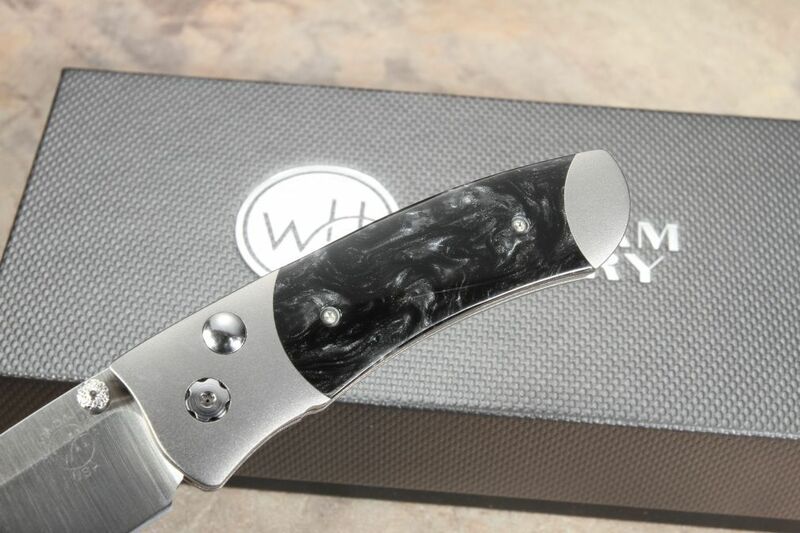 Beautiful enough to be regarded as jewelry with an edge, William Henry Knives are known for their striking simplicity as well as knives that have been built with practical use and function. 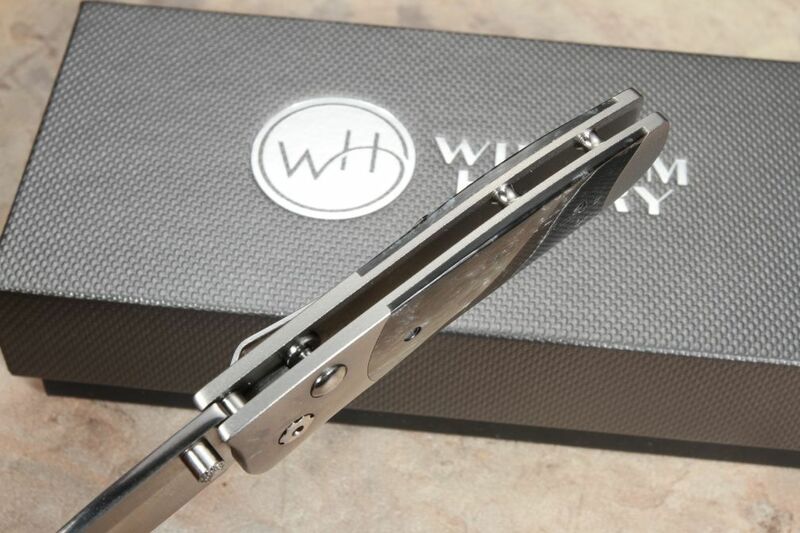 The A Series of William Henry knives is no exception, combining the lean aesthetic of a no-nonsense blade with the beauty of stainless steel, titanium, and Kirinite. The A-100-1 is the smallest of the A-Series at 5" overall length, with a 2.12" long clip-point blade made of CPM20-CV stainless steel. This tool steel possesses some of the highest chrome content of a vanadium steel, which makes it extremely tough as well as giving it a Rockwell hardness of 58. Other than being very corrosion resistant, this blade can take a surprising amount of punishment and still retain a razor sharp edge, use after use. The blade is easily deployed with a thumb stud and is held in place with a push-button locking system until you want it to be closed. The handle is 2.88" long and is crafted from a lightweight and durable aircraft quality titanium alloy. Not only does it resist corrosion, but it is also sleek and fits comfortably in your hand. The Kirinite polymer scales are a unique blend of eye-catching color-stable patterns that are showcase quality to look at, but rugged and durable when it comes to use. 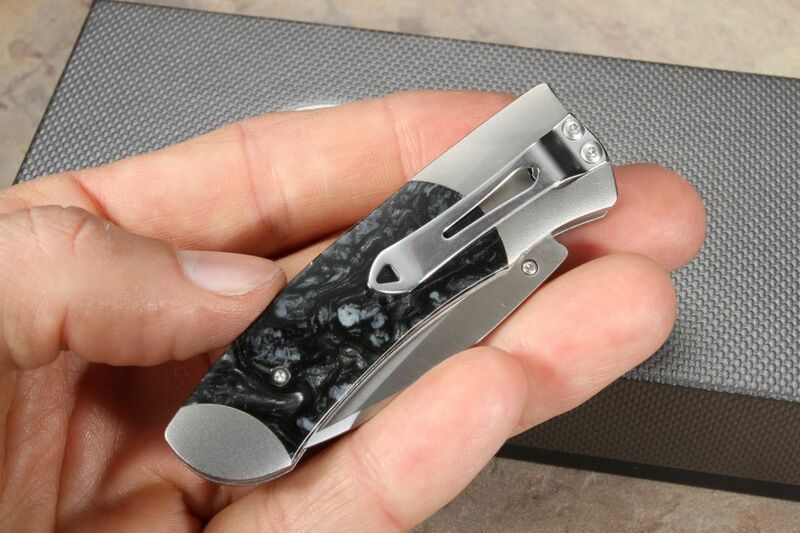 The stainless steel pocket clip offers deep carry, tip down comfort. 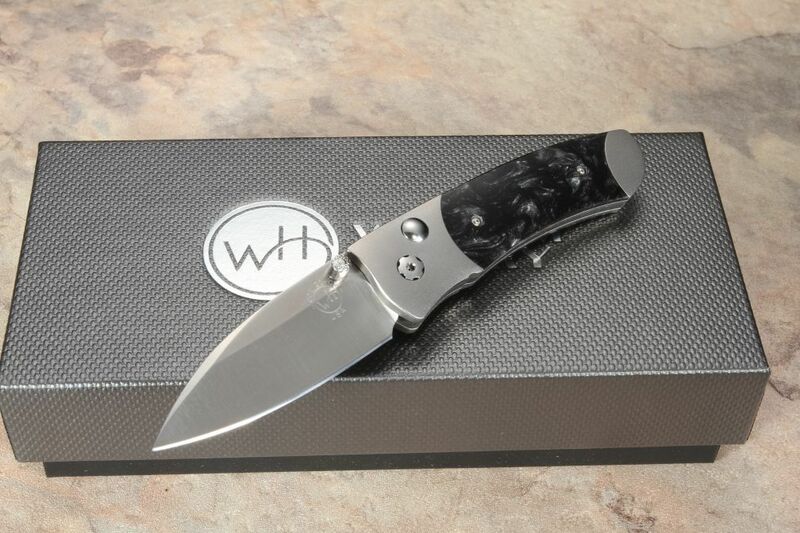 At $350, the A-100-1 is an heirloom quality American-made knife within your reach. 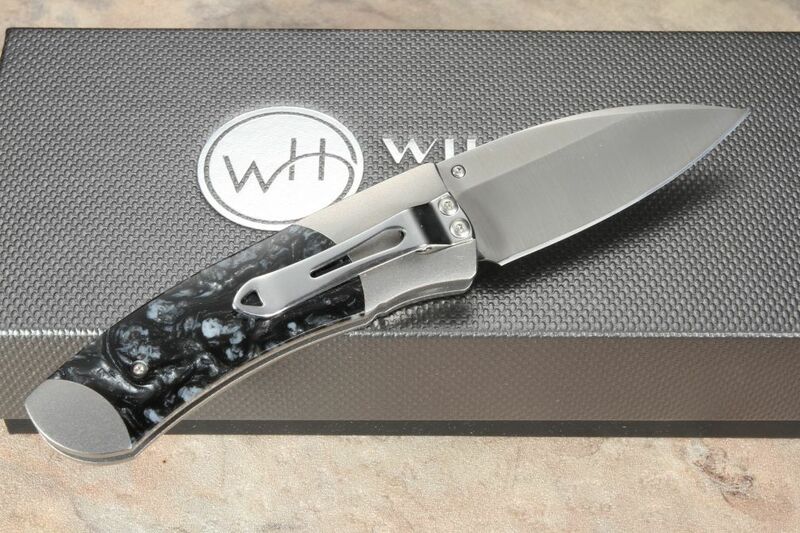 Worthy of a discerning knife-enthusiast or for every day carry, you might be surprised at how something this pretty can hold its own, cut after cut. William Henry Knives are made in the USA to last a lifetime. 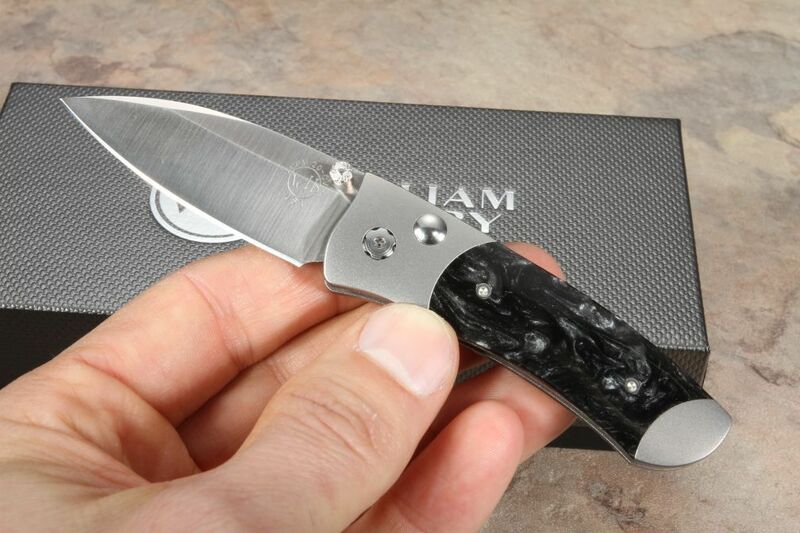 As an authorized dealer of curated William Henry Knives, Knifeart.com offers fast, free shipping and a satisfaction guarantee. 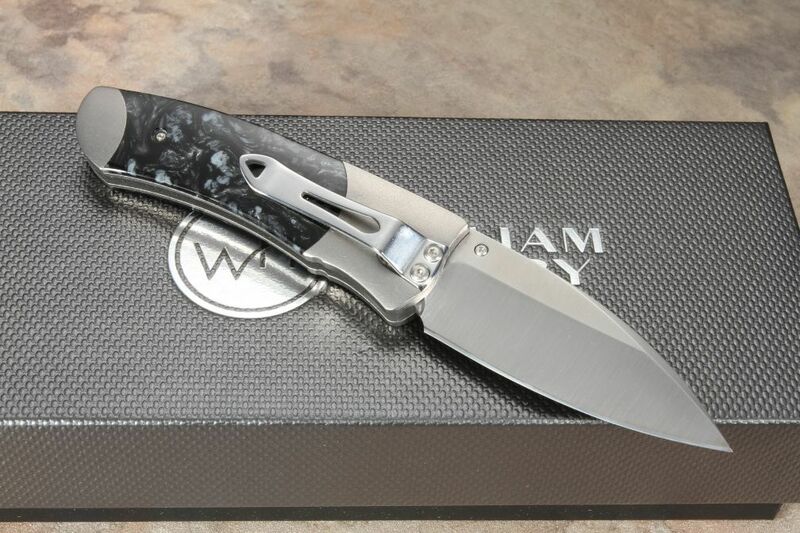 If for any reason you don't love your William Henry Knives, simply return it for a full refund, without any restocking fees.